I have the floral ones too and wear them so much. I saw your instagram pic- they are awesome shoes! 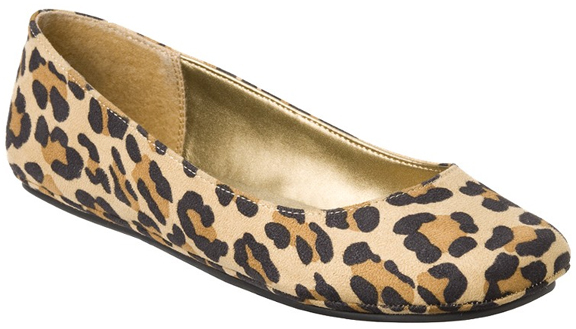 I have some leopard flats from Old Navy years ago and wear them a lot in the fall. If this is the year that they (finally) wear out, I would totally get these Target ones. Thanks for the post! I bought these and they were SO UNCOMFORTABLE!!! The toe box pinches my feet! I was sad because Target flats are usually decent but I can't handle the Odell.